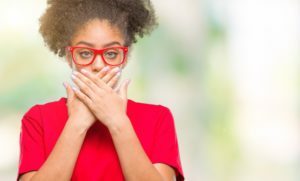 Are you embarrassed by your prominent gums or an overly “gummy smile”? Ideally, the gums should complement the appearance from the teeth, not detract from it, and when someone shows too much gum when they smile it can significantly affect their self-image. Dr. Samir Ayoub is a talented cosmetic dentist in San Francisco that offers gum lift surgery and gum contouring to help patients with a gummy smile restore their confidence. What is Gum Lift Surgery? Gum lift surgery is procedure that is designed to improve the appearance of prominent gums by removing excessive gum tissue. The goal of the procedure, also known as gum reduction surgery, is to balance out the gums and the teeth so they look more proportional to each other. Gum lift surgery was traditionally performed with a scapel, however, nowadays Dr. Samir Ayoub uses laser cosmetic dentistry techniques to contour the gums. Dr. Ayoub will first numb your gums with a local anesthetic to prevent you from feeling any pain. He will use the diode laser to gently remove gum tissue and sculpt the gums in a scalloped-like pattern to frame the teeth. Dr. Ayoub is careful to keep the gum line uniform and symmetrical. As the laser cuts away the gum tissue, it also cauterizes the gums to stop bleeding and reduce the risk of infection. Laser gum lift surgery, or laser gum recontouring, can be completed in a single appointment. For Gum Lift Surgery Before and After Photos, visit our Smile Gallery. You may be a good candidate for gum lift surgery if you feel like your smile is too “gummy” or your gums mask a significant amount of your teeth when you smile. Your teeth may look too small or short compared to your gums. Your gums should be healthy and free of any disease before undergoing treatment. Dr. Ayoub will examine your teeth and gums, inquire about your health history and ask you to describe your treatment goals before recommending the procedure to you. If you are interested in discussing the procedure and how it can improve the appearance of your smile, please contact our San Francisco dental practice today and request a consultation. Gum lift is a quick, easy, and precise procedure that is virtually painless and generally well tolerated by patients. The risk of complications is low when the procedure is performed by a qualified cosmetic dentist with the proper equipment and training. Laser gum recontouring generally does not cause any serious side effects. Some patients may have mild soreness or swelling after treatment, but these symptoms are only temporary. 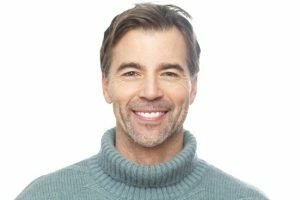 To learn more about gum lift surgery and the other cosmetic dentistry treatments available with Dr. Ayoub, please contact our San Francisco dental practice. You can reach our office in Union Square by calling (415) 781-2227.